When you’re planning a scuba dive, it’s nice to know the visibility of the water at the dive spot. 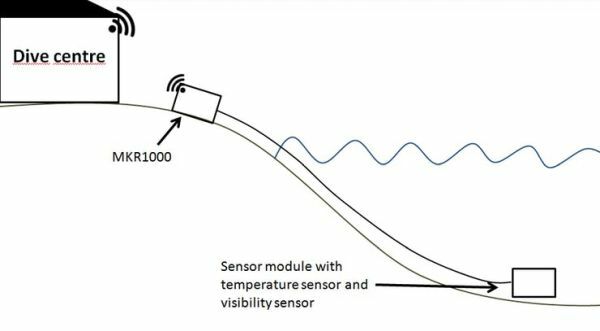 This system will contain a sensor module in the water with a temperature sensor and a visibility sensor. 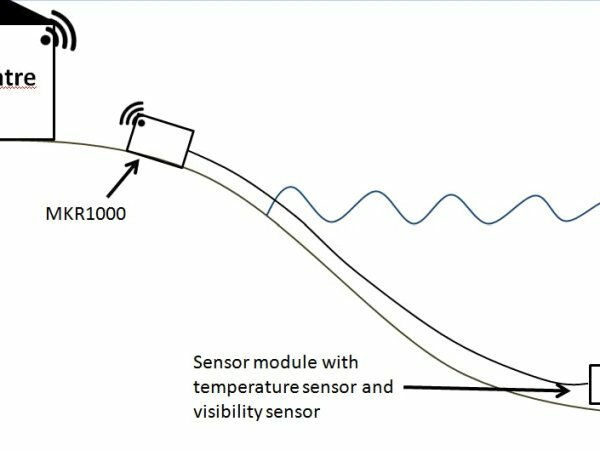 The MKR1000 on the side of the water will send the data wireless to the closest WiFi-hotspot (a diving centre for example). The data will be available to everyone! It’s a big disappointment when you’re all geared on the side of the divespot, and the water looks like a messy soup. 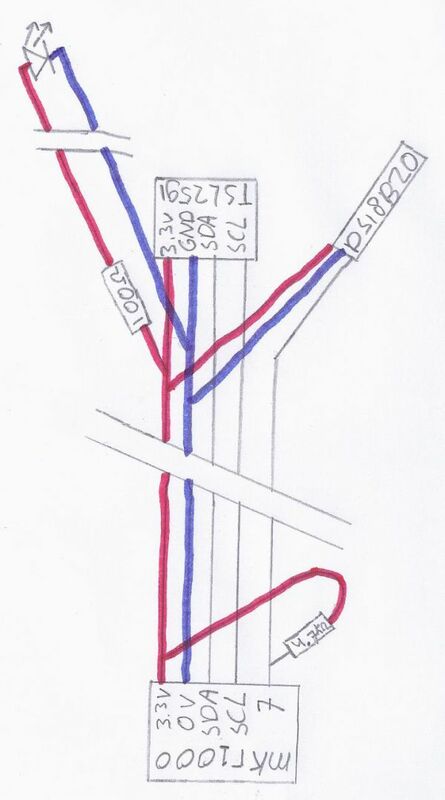 When you have access to the data of multiple sensors on multiple dive locations, you can decide where to dive, based on the visibility of that moment. The sensor is based on a LED that shines on a light sensor. This way we can measure the amount of light that comes trough the water. 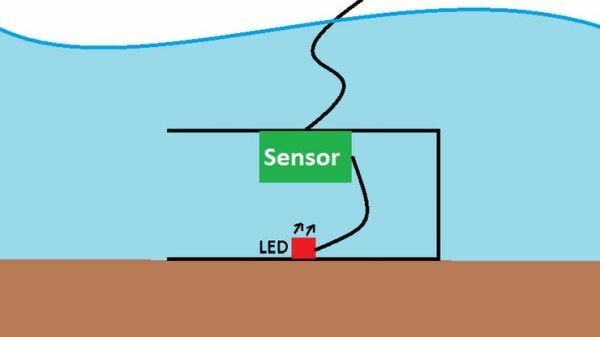 When there are a lot of particles in the water (meaning bad visibility), the light that the light sensor will receive is less. 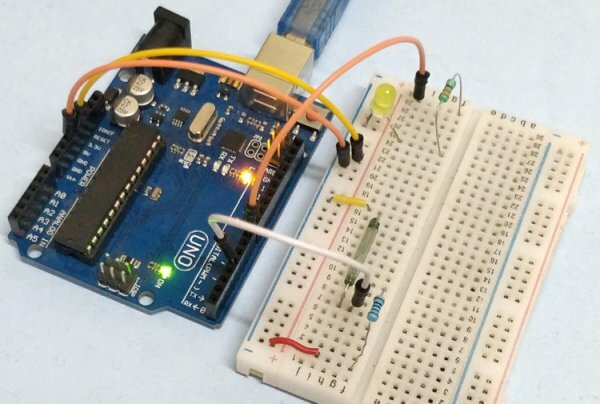 READ Amazon Dash Button for Arduino! 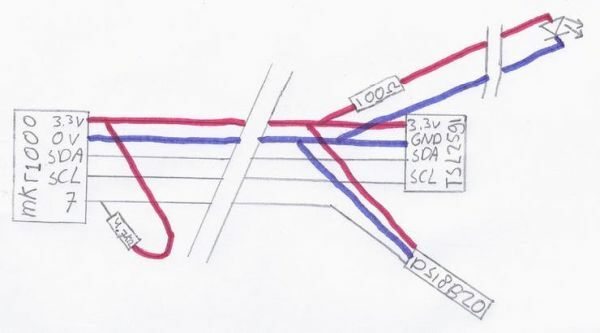 I have to say that this is a guide to making a test unit for near your house. The network cable can’t be too long, because I2C can’t handle more than 5 meters of cable. I’m planning on testing it for a while. When the results are reliable enough, I will update this page with a version that can be placed at every dive spot. To have as less disruption by the sunlight as possible, the sensor and the LED will be mounted in a bucket or big pipe. The bucket/pipe will lay on it’s side (see picture below). This way there’s no sunlight reaching the sensor. 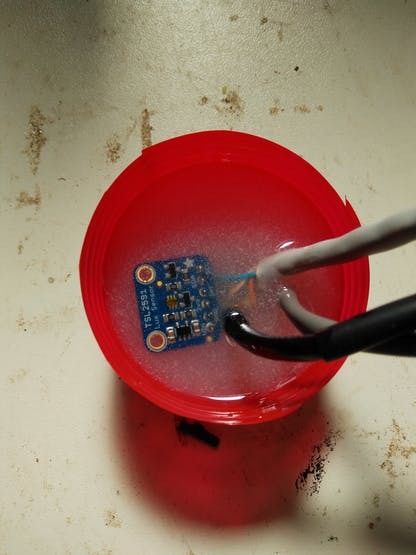 To make the sensor and the LED waterproof, I used some epoxy resin to submerge all the electronics. As the resin isn’t that easy to look trough, try keep the light sensor as near to the surface as possible. 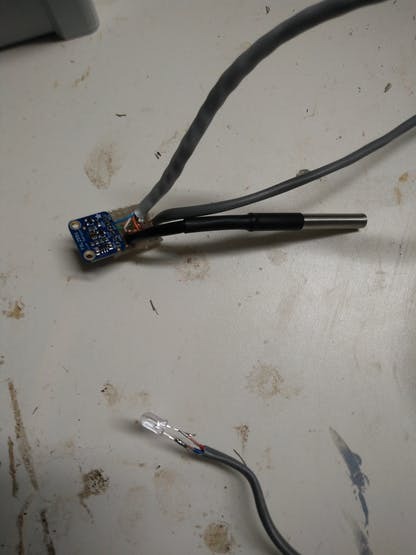 Just attach the sensor and the LED in the bucket or pipe with some hot glue, and that’s it. The Arduino sketch should contain a code that runs a webpage from the MKR1000 displaying the sensor values. You can view the values via a web browser or via the special Universal Windows App (included in the repository as visual studio 2015 project).